Ready to Roll | Red Wing’s Finest | A Continuous Lean. 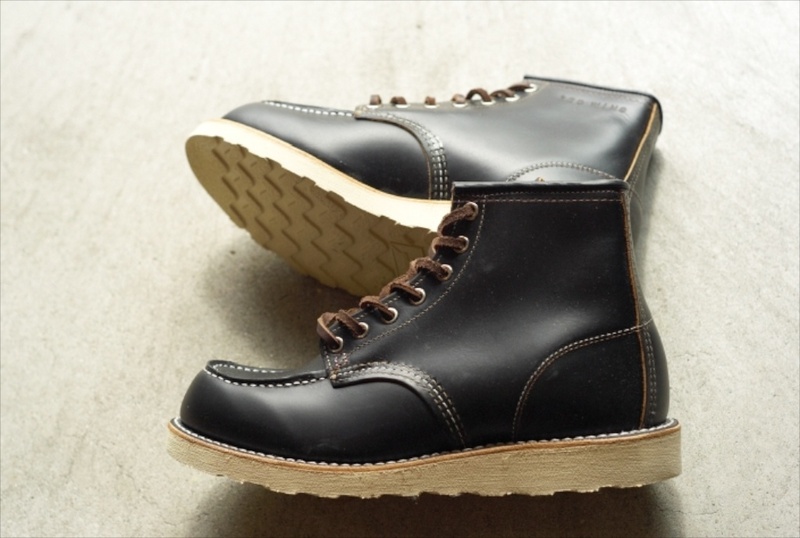 Some of these Red Wing Heritage boots you can actually get, some you can’t. Well, you might be able to get all of them but these black 6″ moc toes are going to pose a bit of a challenge. 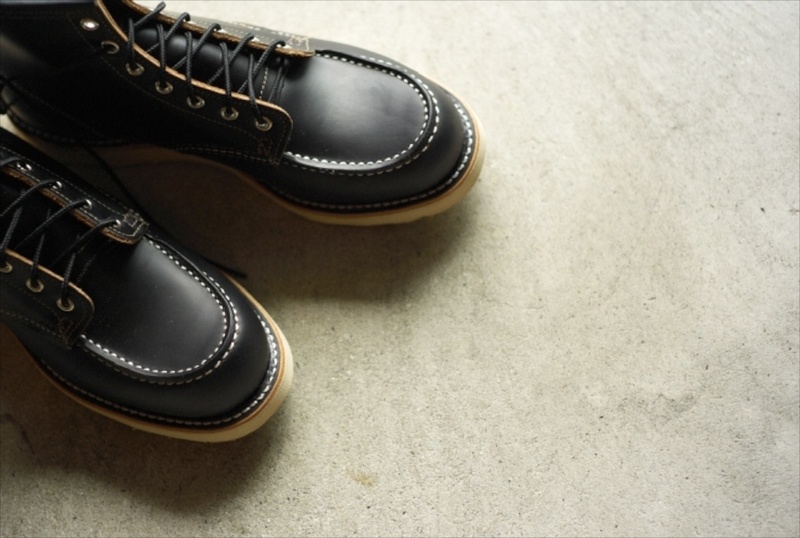 Released and only available in Japan, these boots are actually part of a small collection of special edition Irish Setter boots that were resurrected especially for Japan a few seasons ago. 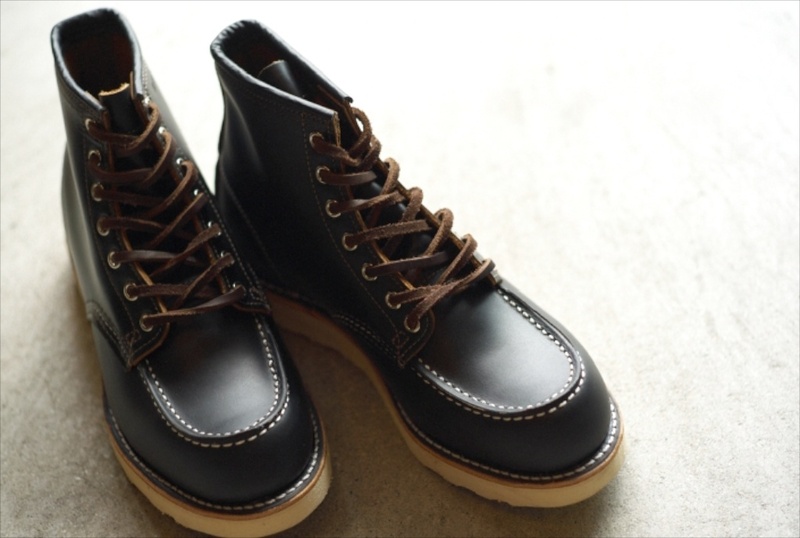 Keeping with the exclusivity thing, the 9874s are only even available at the best Japanese Red Wing retailers, namely: Beams, United Arrows, Ships etc. Want a pair? Make a friend in Japan or just book a flight. If you ask me, the long haul would be worth if. Never before have black and brown worked in partnership so well. The Irish Setters are great – hard to find, cool looking etc., but these new spring Red Wing Heritage handsewns are going to be my go to for when the weather finally gets better. 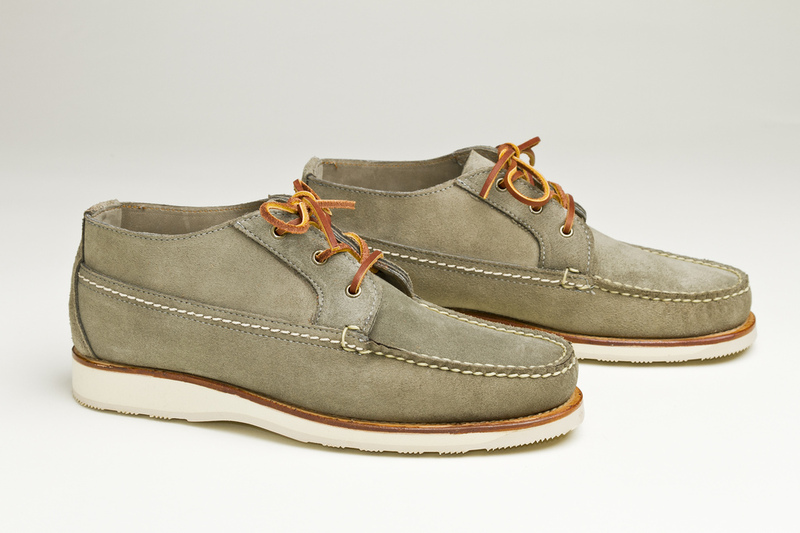 I also actually wear the 6″ Heritage Work moc toes in the summer as well, but it’s nice to lighten things up a bit. 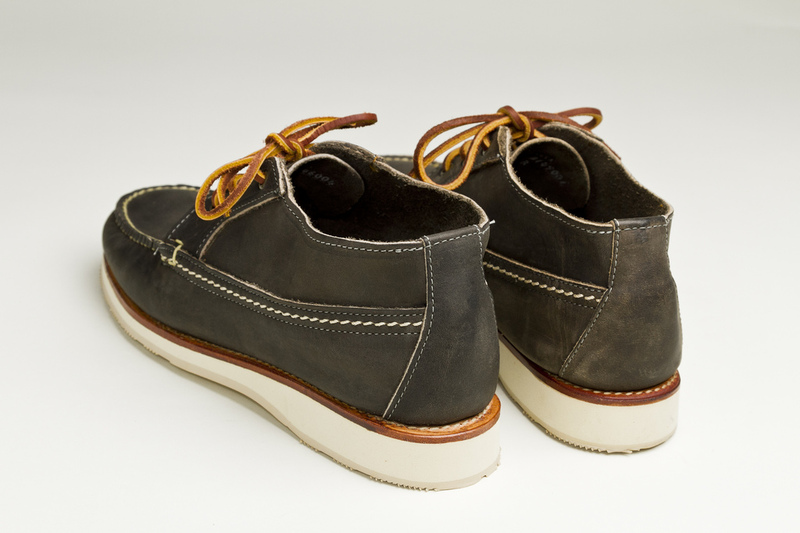 All of the Red Wing handsewns are made in Maine using leathers from the company’s own S.B. Foot tannery. I’ve been to the factory where these are made and I’ve also had a chance to visit the tannery that makes the leather on several occasions through my work with Red Wing (full disclosure).It’s always so inspiring to be in the “plant” watching these things come to life. There’s a reason the people at Red Wing make such great stuff, because of the high standards they to which they all hold themselves to. 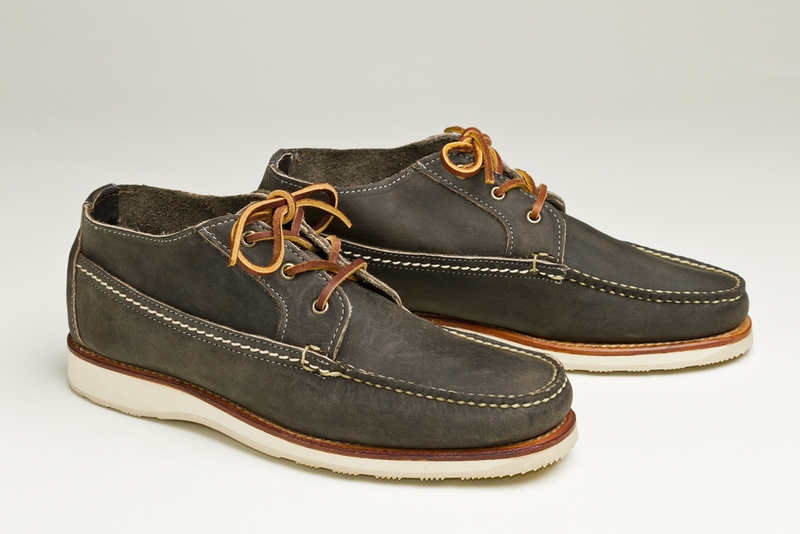 There’s also a strong sense of commitment at Red Wing to the brand and the product. I’ve never really experienced anything like it with any other companies. Being a fan of the brand since I was a kid, when I had the chance to go behind the scenes at Red Wing I was a little apprehensive. It’s was like meeting one of your favorite musicians – you have to be careful because they could turn out to be a terrible person and you would never hear their music the same. With Red Wing, getting to know them has only made me love the company and product more. If aliens landed from outer-space and wanted me to show them the quintessential American company – the one that best represented us as a people – I would take them straight to Red Wing, Minnesota. Though, I just hope they don’t ask for a pair of 9874s – those are just too hard to get. You gotta love Red Wing boots. They simply are the finest & made in the U.S. – even better. The Japanese know how to do Americana better then we Americans do. They source better products from American producers than we do for the most part. Red Wing boots are the best. Best boot for my husbands work! I love my Red Wings I bought 3 years ago. What a quality and also love they are made in US. Little bit too expansive too buy in Sweden though, double price against US price. I’ve gone through my fair share of boots over the winters. The red wings look and feel like bowling shoes. too stiff. will be going back to the classic Wolverine Thousand Miles once I finally bowl a strike in these red wings. Those 9874s will no doubt age beautifully. Heartbreaking. It’s always bugged me that the 8130 (black moc toe) don’t have tan brown welts. They’d look much better. A tip for Red Wing fans in the UK, Timpsons resole Red Wing for about Â£50, well worth it as the uppers will last and last (Shoe based pun intended). I’ve seen black Red Wing boots in shoe stores around Florida. True, the “RED WING” in old-fashioned letters isnt there. The question here is if that little detail would warrant a trip to, or a friend in, Japan. Unless they are made of a special leather, which the article does not specify. Been wearing a pair of heritage 9016 boots for over 2 years now. 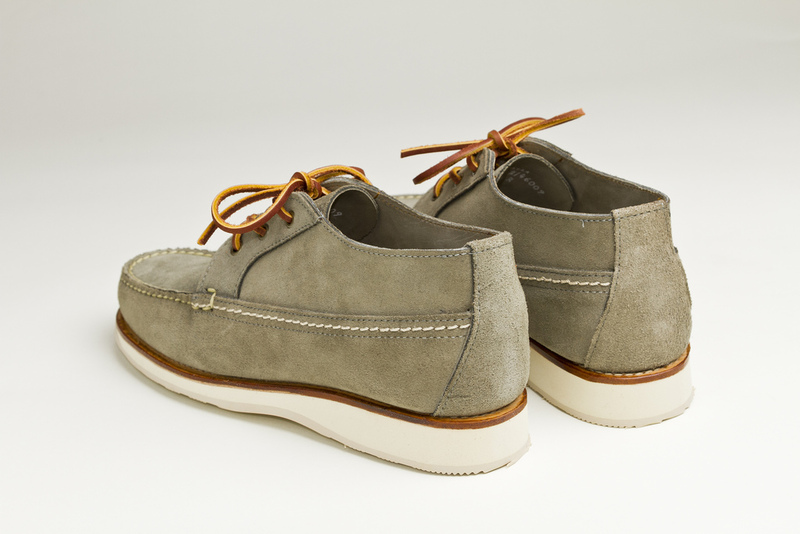 Walk about 3 miles a day, and they’re wearing in beautifully. Clean and oil them a couple of times a year, and they have grown softer, more waterproof, and richer in color over time. These boots simultaneously look refined, rich, and tough as f*ck. love my red wings.